Award season 2018 has gotten off to a rip-roaring start, with both the Golden Globes and the SAG Awards making their nomination announcements during the second week of December 2017. While there have been some surprises and snubs in regard to who exactly got nominated, there’s one big piece of award season news that is hard to argue isn’t actually a great thing. 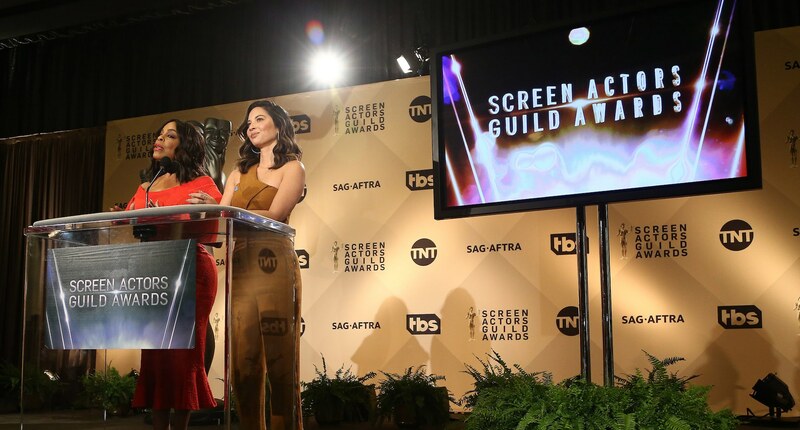 On Wednesday, Dec. 13, The Hollywood Reporter announced that the 2018 SAG Awards would have an all-female presenter lineup, which is a major step forward and a major first in award show history. A move of this kind certainly sends a strong message about the vision this award show has for the new year, but it also shows those behind the scenes are dedicated to giving women in Hollywood a true spotlight and not one that’s given away half-heartedly. Hell, yeah! This conscious effort to let women’s voices be heard not just in acceptance speeches but also while presenting the awards is certainly unique, and it’s really, as previously mentioned, an unprecedented move. Much like MTV’s decision to create gender-neutral award categories at the 2017 MTV Movie Awards earlier this year, the 2018 SAG Awards are actively reminding us that it’s not just a man’s world and honorable events like awards show should be emblematic of that. Sadly, we have no idea which women have been selected to present at the 2018 SAGs, although there is some promise that those in charge of choosing presenters will indeed have their eye on a broad range of women. This is evident from the fact that Kristen Bell has been snagged as the show’s host (another first for the historically host-less event!) and it was only women — Niecy Nash (who stars on TNT’s Claws) and Olivia Munn (best known from her work on HBO’s The Newsroom and X-Men: Apocalypse) — who announced the nominees early Wednesday morning.